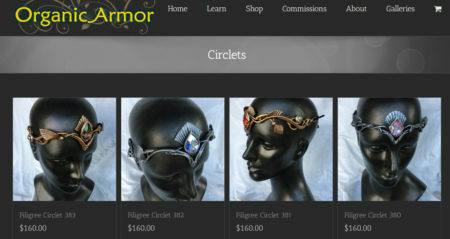 Finally there are few new circlets in our shop! They are lovely mer-themed filigree styles with cast shell accents and sparkly crystals. Paul is feeling a lot better in the last 2 weeks! He’s working now on the new sea turtle and dolphin themed designs for the ADEX show in Singapore next month.